After ten great years and stupendous growth thanks to your support, we are very excited to be moving the NEO to a brand new, much larger home! The just opened Albany Capital Center will offer the NEO a 3x larger competition space, allowing us to run more rings, more competitors simultaneously, and ultimately deliver a SHORTER DAY for everyone! Not to mention the new building is beautiful and state of the art! With the larger space will come both larger competition rings and a larger stage! With the new venue, new decade also comes a brand new updated website. Please check out www.NorthEastOpen.com for all of the information you need for this years events, plus lots of great historical information about the event and previous champions! The NEO will be the first competition to offer the USBA/WBA’s brand new event, Team Creative Multi-Directional Breaking. Allowing a pair of competitors to perform a breaking routine together and compete against other duos. Check out the rules for more info! Due to the new venue and larger stage size, the Demo Teams may now consist of up to 20 team members/performers. Those of you who attended the North East Open years ago will remember we used to have a very special segment that started as a Mid-Day Demonstration Break and evolved into a Night Show. 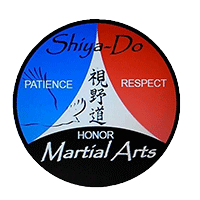 The purpose of this great part of the NEO was to showcase styles and aspects of traditional martial arts that couldn't otherwise be featured in competition, as well as feature very special Masters and Grandmasters. This segment unfortunately disappeared a few years ago due to time constraints. With the new venue, and much shorter expected competition day, we are very excited to bring back the Demonstrations to the NEO! With the new venue brings new opportunities for our attendees. The Albany Capital Center is served exclusively by Mazzone Hospitality, which means that we will have much more and better quality food available on site for our competitors and spectators throughout the day. This is actually not new this year, but started last year, but we want to make sure everyone knows. All competitors competing in Power Board Breaking, are now, per USBA/WBA rules required to pre-stack your boards before your event starts. This helps make the division and competition go a lost faster and will also help us create the shorter day we are striving for. Carpenter Pencils and Masking tape will be available when you pick up your boards, however, you are also allowed to bring your own carpenter pencils and masking tape as long as the Carpenter pencils are standard.